Streamlined, easier to read materials and innovative designs that enhance the riding experience and attract a broader group of riders will be introduced beginning this summer. Thousand Oaks Transit (TOT) announced it has hired Group A2Z, a Thousand Oaks marketing, design and communications firm, to refresh its brand, renew its public communications materials, and attract more riders. The program includes brand strategy, new designs, and updated content for a wide range of materials, including the primary Transit Brochure and System Map, which will be introduced later this summer. The ongoing program is designed to phase in updated and new materials as they are needed to ensure that riders have current information presented in a straightforward, inviting manner. Group A2Z is a professional partnership that includes Corridor Communications, Inc., Westlake Marketing Works, and Barry Ridge Design. 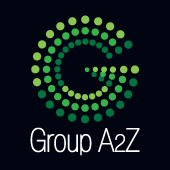 Group A2Z is a strategic marketing alliance of three companies that creates order out of the chaos in today’s fragmented communications environment. The firm delivers a unique suite of integrated marketing, design and public relations services from “A to Z.” Based on accountability and personal expertise, its strategies are known for connecting with customers across print and digital media. Group A2Z brings an innovative, nonbiased approach to developing strategy, design, and communication solutions that generate impact and produce results. They know what to say, the right tools to use, and how to use them. For more information, visit www.GroupA2Z.com or call 8i8.681.5777.